QUBE 2 is the sequel to QUBE: Director’s Cut, the very well received puzzle game from Toxic Games that launched on PlayStation 4 back in 2015. 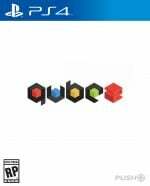 The story for QUBE 2 follows on from its predecessor, except this time with another character taking on the lead role. You play as Amelia Cross an archaeologist who has awoken inside this weird cube structure containing puzzles with no memory of how or why she is there. 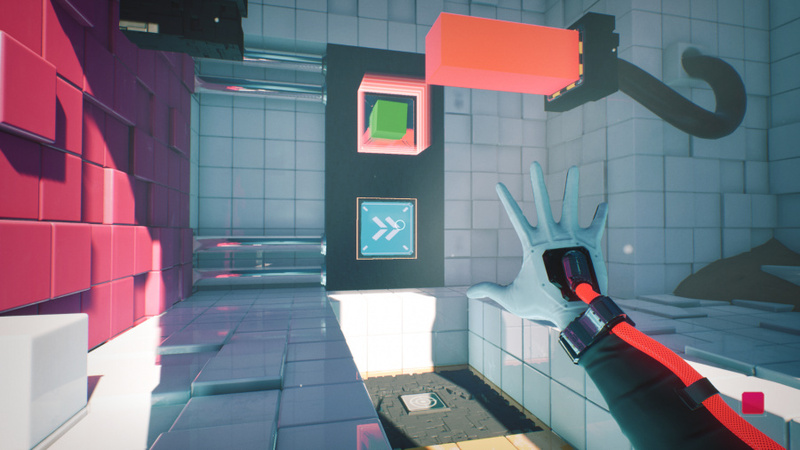 It’s your task to complete these puzzles led by the voice of Emma – a scientist who previously helped stop this cube structure from taking over the Earth – in order to regain your memory and uncover the truth behind this mysterious structure. QUBE stands for Quick Understanding of Block Extrusion, which accurately describes the puzzles you’ll encounter throughout the game. In each one you’ll be manipulating blocks in order to progress through various rooms. There are several ways in which you can manipulate cubes and this is done through changing their colour. If you colour a cube blue it will launch you into the air when jumped on, if you colour a cube red it can be extended to create a platform, or if you colour one green it will spawn another cube to the side of it. Using a combination of these colours you must navigate your way to the exit in each room. The puzzles are very enjoyable and progress steadily in difficulty by adding various new features along the way. The simplest puzzles require you to place a blue block down to bounce on and then a red one to extend a platform to land on. However once in the later levels there are a lot of new elements added to mix things up and add more complexity. Slippery goo can be placed on blocks to make them slide, flamethrowers that can be used in combination with the flammable goo to ignite blocks, and the list goes on and on. Although there’s a lot of new items to get used to in comparison to the game’s first outing, they are spread equally across the six hour campaign and are easily picked up and learned. The vast amount of additional elements make the puzzles both more challenging and lengthier at the same time due to the extra thought required to figure out their solutions. The game is very linear as you follow a set path with a narrated story although when within the puzzle chambers there is a bit more freedom. 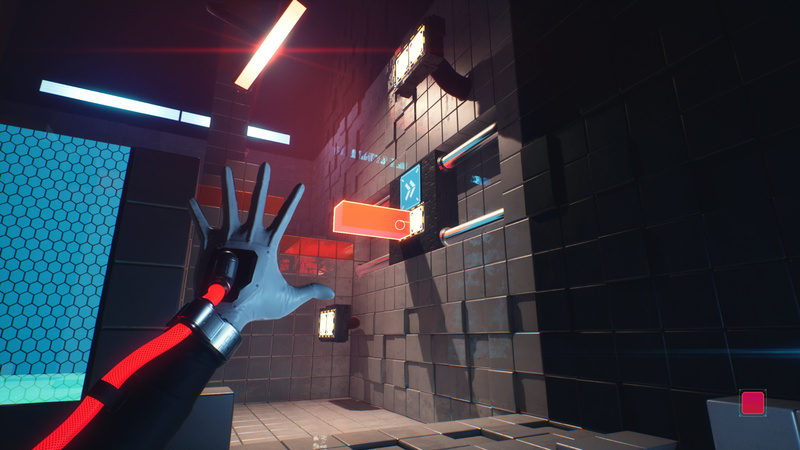 Many of the puzzles have more than one way in which to solve them and therefore you have free roam to play around and figure it out for yourself. There isn’t much in terms of hints if you get stuck although we found the difficulty to be just right, never once getting overly frustrated with the game. When we did get stuck we found it was best just to take a break and return with a fresh mind. The sound and visuals for QUBE 2 are excellently polished. The visuals are bright and clear and do a great job of highlighting the areas of the room that are designed to be interacted with. The sound consists of mainly ambience but is excellently integrated to create a very lonely atmosphere especially when you enter some of the bigger puzzle chambers. 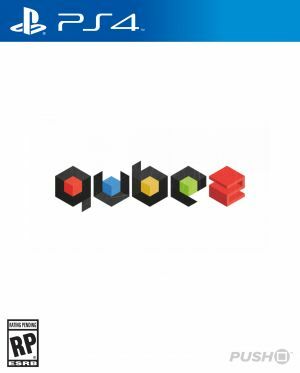 QUBE 2 is an outstanding and enjoyable puzzle game that builds upon its predecessor in all the right ways, with a lengthier run-time, more complex puzzles, new elements and gorgeous visuals. Although not as innovative as Portal, QUBE 2 is a step above the rest in both quality and quantity and should not be overlooked. "Push Cube" Haha, nice! Great review. This game looks fun, but puzzle games are usually bargain pick-ups for me. Nice review. Good to know the sequel is just as amazing as the first game! Good review. Currently replaying Portal 2 and this had that vibe. Looks like I'm going to be adding this to my purchase list, right next to The Witness. Are there only 3 cube colours? As a colour blind I would like to know if that could hinder my enjoyment of the game. Thanks. Sounds great then. Thanks again for the reply! Sounds good. My 9 year old loves puzzle games. Would this be suitable for his age in terms of content / difficulty? @mikeym yes I would say so, some of the later levels might require some help for younger ones but no doubt there’ll be online guides soon so it shouldn’t be an issue. As always great review, fun while reading. Thanks. I'll wait until he gets bored of Talos Principle and maybe get him to revisit The Witness first. Had great fun with the latter, we managed to complete all of the lasers together and only have the end puzzle to do which stumped us at the time. 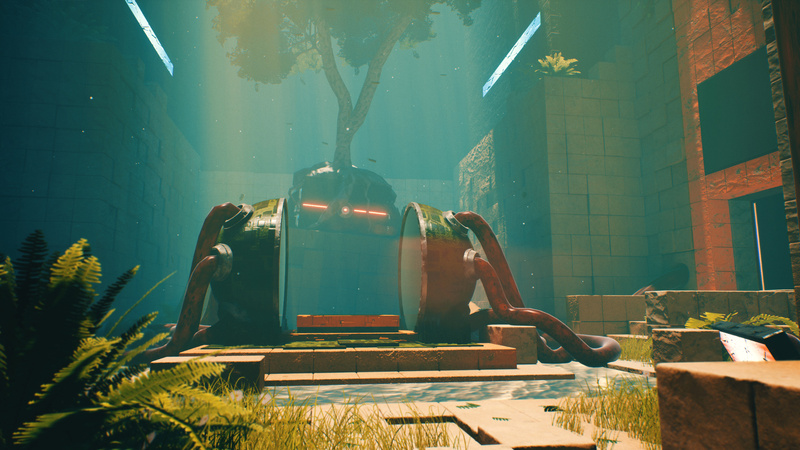 @mikeym Awesome, The Witness is an outstanding game. I enjoyed it so much that I picked up the platinum for it.